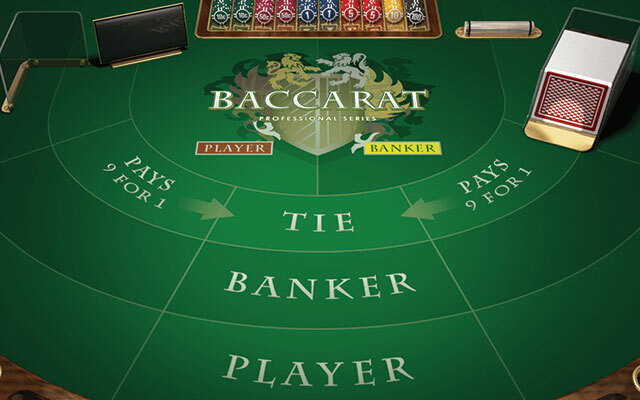 Baccarat is one of the oldest casino games which is still played by a number of players all over the world. In the past, it has always been associated with elegance and wealth as it was predominantly played by aristocrats. However, times change and nowadays, it can be played in traditional landbased casino as well as online which makes it extremely accessible. It is even possible to play the game live in real time with a professional dealer and get an extremely realistic feeling of it without having to leave home. Throughout the years, the game has been introduced in many different countries and some significant changes of its rules took place. As a result, a number of interesting variations emerged which made the game even more enticing and challenging. Thanks to the diverse rules, players have the unique opportunity to enjoy a wide range of exciting versions and experience the game in a very different way. Presently, every reputable online casino offers Baccarat both online and offline as it has proven to be one of the most interesting and entertaining games of all times. Even though the exact time the game emerged remains unknown, its origins can be traced back to 15th century. Throughout the years, a number of heated discussions have taken place in attempt to determine the period more precisely. However, this is not the only highly disputed subtlety when it comes to history of Baccarat as its exact location can be also argued. 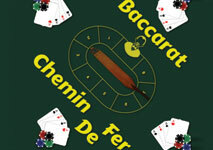 It is said that Baccarat was first invented in Italy by the Italian player Felix Falguierein. Initially, when the game was played in the Middle Ages, a deck of Tarot cards was used. Another common belief is that the game was based on an ancient legend which makes it even more mysterious and intriguing. Since Baccarat is considered to be an Italian invention, its name can be derived from the Italian word for zero – baccara. It is suggested that one of the reasons why it was named after exactly this number is that according to the game rules the point value of all face cards and tens is zero. Nowadays, Baccarat is famous all over the world and players can easily find the game under this name in a number of reputable online casinos. Not long after its introduction in Italy, the game gained in popularity in France, predominantly among the French nobility. It remained exclusive for the members of the upper-class for a considerable amount of time, before it reached the ordinary people in the society. Every country has its own cultural impact and whenever a particular game is introduced to a new territory, in most cases, its rules are altered in accordance with the needs of the respective players. This is the case with Baccarat as well due to the fact that this game has gradually become popular in a number of countries. As a result, the inevitable changes of its rules occurred and in some places, it even became known under a different name – Chemin de Fer. Perhaps, one of the reasons why the French claim to have invented the game, is due to the fact that the French original variation Chemin de Fer become extremely popular worldwide. One of the most distinctive features, this version has, is that the role of the banker is performed by the players. Before the start of the game, one player is appointed to be in this position, however, every participant gets to be the banker at some point during the game. The banker is responsible for dealing the cards and at the beginning of every round, that respective player has to place a wager. The rest of the participants are called punters and they have the opportunity to choose the option to ‘go bank’ or in other words, they can bet the same amount as the banker and compete against the bank. It is worth mentioning that the rules allow only one player to take advantage of this move. In this version of the game, players compete against each other which makes it much more challenging and entertaining. By playing Chemin de Fer, they have the chance to put their skills and knowledge to the test and thus, influence the outcome of the game. In contrast to some other variations such as the North American version Punto Banco, this one is not just a game of luck. Throughout the years, Baccarat also travelled across other countries such as the United Kingdom and China. Later on, it also reached South America and eventually, the rest of the world came to know the game. Initially, regardless of the country it was played in, it was a form of entertainment predominantly for the rich and wealthy people. Perhaps, because it was a high-stakes game and as such, not many players could afford to play. Its sophisticated nature attracted a number of royalties, including King Edward VII. There is one famous case of a Baccarat dispute that took place in the 19th century and it involved the king. As already mentioned, many countries altered the rules of the game in accordance with their culture and players’ needs. As a result, a number of adaptations have been created. When the game finally reached England, it became known as European Baccarat. In comparison to the original Baccarat, this version has a few major differences that concern the established rule for drawing an additional card. 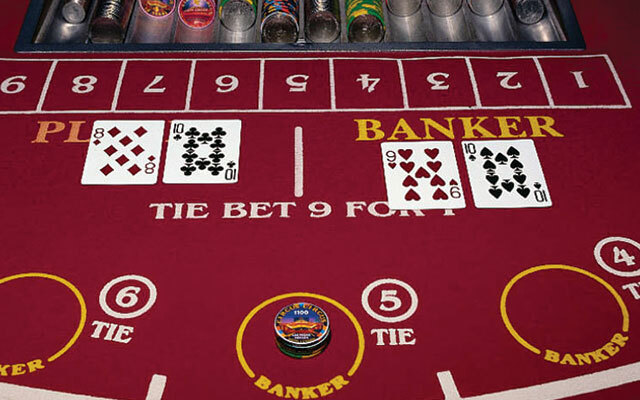 In European Baccarat, players have the chance to draw an extra card on five. The banker, who in this case is a representative of the respective casino, can also choose to take advantage of this option. When the game was introduced in America, around the 19th century, it didn’t get much attention as another card game – Blackjack was already popular. However, later on, players from Cuba became interested in it and it quickly gained in popularity. As a result, the American variation called Punto Banco emerged which is considered to be one of the most famous variations of the game of all times. Another popular game that is moderately new in comparison to the rest of the variations is Mini Baccarat. Thanks to it, players of all types, regardless of their betting habits and bankroll, have the chance to enjoy this remarkable game. Throughout the years, Punto Banco has attracted a number of players and it became known as the North American Baccarat. Nowadays, it is possible to play it in some brick and mortar casinos as well as online. However, prior to playing, it is compulsory to get familiar with all of the game rules as well as with the casino policy. One of the important things which should be taken into account, when it comes to this variation of the game, is the established rules for drawing additional cards. It is also worth mentioning that the role of the banker is not performed by a casino player. Baccarat is one of the oldest casino games and as such, it is no surprise that it has undergone some major changes over the years. As a result, nowadays players can enjoy a number of variations and experience this sophisticated game in a completely different way. The game is no longer exclusive for upper-class members as nowadays, there are a number of versions such as Mini Baccarat which give all types of players the chance to enjoy it. Nowadays, almost every online casino offers Baccarat which is a clear indicator that the game still appeals to a number of gamblers. It is also among the most popular live games, meaning that it is possible to play it in real time with a professional dealer.